Bring back the light! For the first time in Hackensack, a car Menorah parade will take place in the heart of Bergen County. You bring the car - we bring the Menorah! This event is dedicated in memory of the 11 victims in the Pittsburgh massacre. 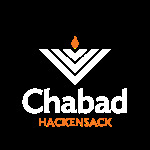 The parade will culminate with a grand Menorah lighting, Chanukah gelt, Hot Latkes and fun for the entire family!